What should your numbers be? One last thing to consider might be ‘original color’ and this number is also hidden on the car. The official Aston Martin Workshop Manual has a section in its introduction that lists where to find the VIN and Transmission numbers. You can check it out here. 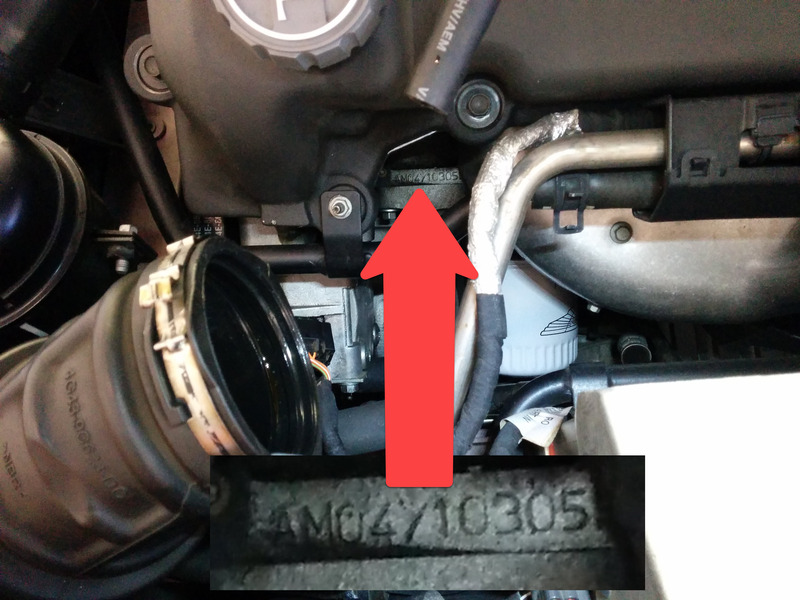 Since their pictures are taken on parts not even installed in a car, my descriptions below might be a little more helpful in finding some of them in-situ. The VIN number is located in several locations on the car. Why? So you can spot a scam. All four VINs should match of course, if they don’t, walk away. Location 1 – On the Dash. This is the easy one, we all look here for the VIN number. Driver side front edge of the dash, as seen through the windscreen. In the close up you can see it is engraved, not a printed sticker. Location 3 – Engine Bay. 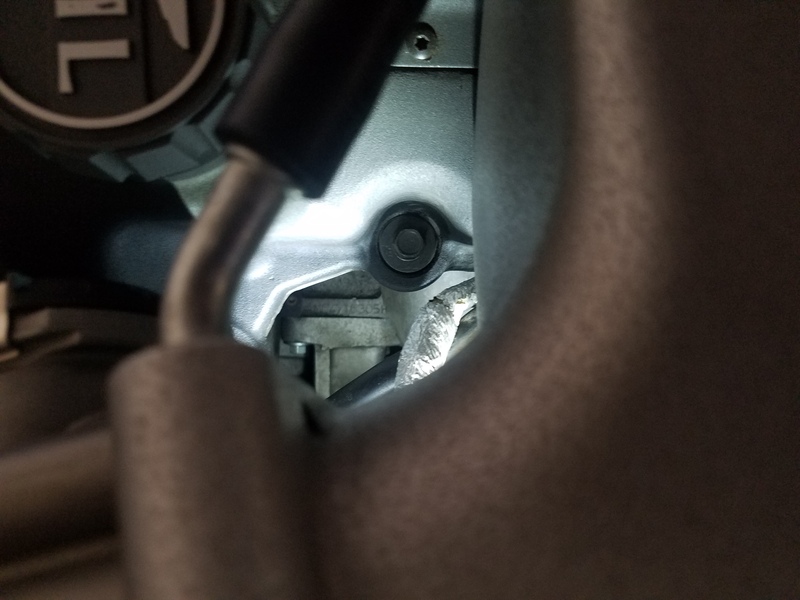 If you open the Hood and look down right between the radiator and the front of the engine, there is a cross member. On the cross member will be a sticker with the VIN. Just use an inspection light and peer straight down by the crank pulley. Location 4 – Right Hand Floor. This one is hidden, designed to trip up the casual forger. Pull up the carpet in the right hand foot well and it will be stamped in the aluminum floor pan. I haven’t gone in for a photo of this one yet. Location 5 – Through the Infotainment System. This one is available through the electronics, and accessed via the Menu system on the car Infotainment audio system. Press the Menu button next to the volume/on/off knob, then select Car Settings/Information/VIN Number. You’ll be rewarded with the VIN on screen. This is an easy one. It is the last 6 digits of your VIN number. No separate stickers or plates to identify it. It will start with an “A” for a coupe, or a “B” for a Volante (convertible). My car is chassis number A01906. The engine number is stamped on the left hand side of the engine block. It’s not easy to see, but you CAN see it without removing any parts of the car. Use an inspection light and peer down carefully in a dark garage. You might want to use a smart phone and snap a picture like I did below so you can zoom it up to be able to actually read it. 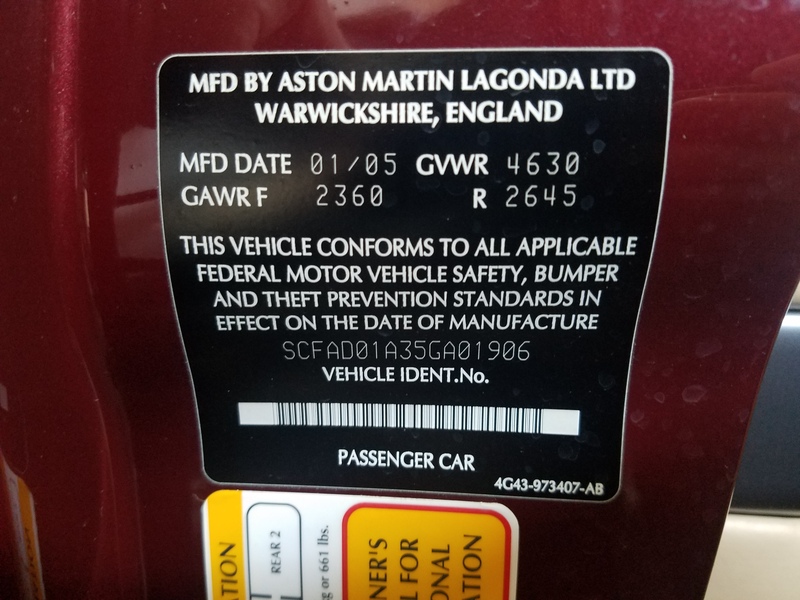 The Vehicle Number is Aston Martin’s internal build number during production that represented your car. For DB9’s, it appears they all start with 240- and then end with a number unique to your vehicle. For my car, it was 1936, so 240-1936. 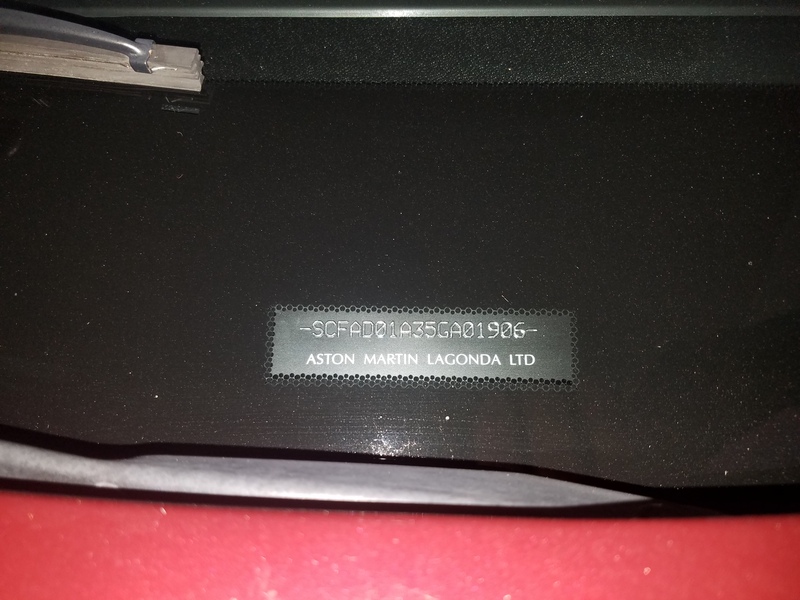 I have found the car number all over the back of the Interior panels. 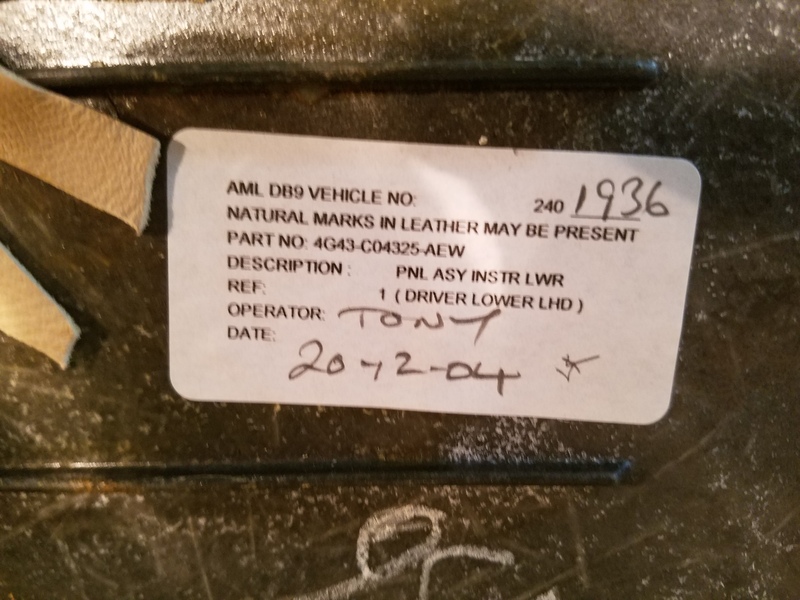 Just about any interior panel I have had off has had this number written across it as the trimmers used it to keep track of my cars matching interior panels. A really easy one to ‘pop off’ for a quick check would be the Driver Side Lower Panel (essentially the panel in front of your knees). It just pulls off fairly simply (check out my video on how to do this here). On the back you’ll find something like this. I’ve not crawled under and looked for this one yet, so stay tuned. The workshop manual says its on the Left Hand side, and from the photo it appears it might be on a plate located just ahead of the rubber exhaust hanger . You have a couple of ways of finding the original paint color. 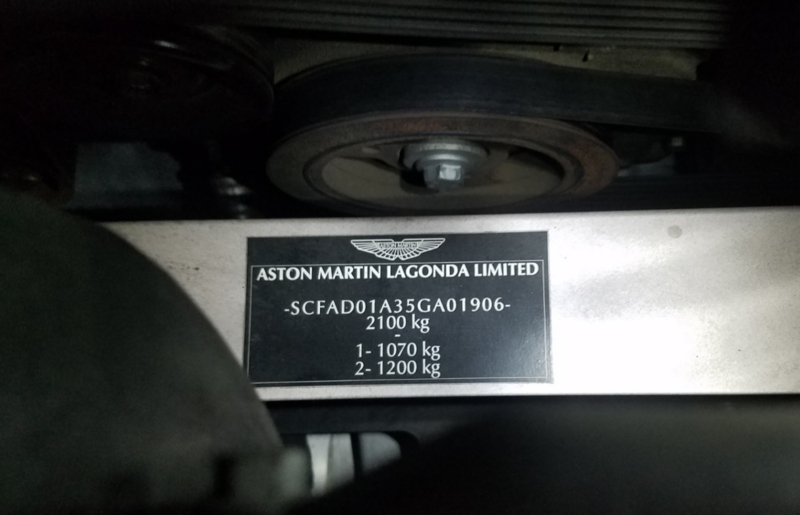 The first is by contacting your Aston Martin Dealer and asking them for a print out of your cars original specification is easy enough to do. I did this as part of researching the data on the ‘My Car’ page (check it out here). 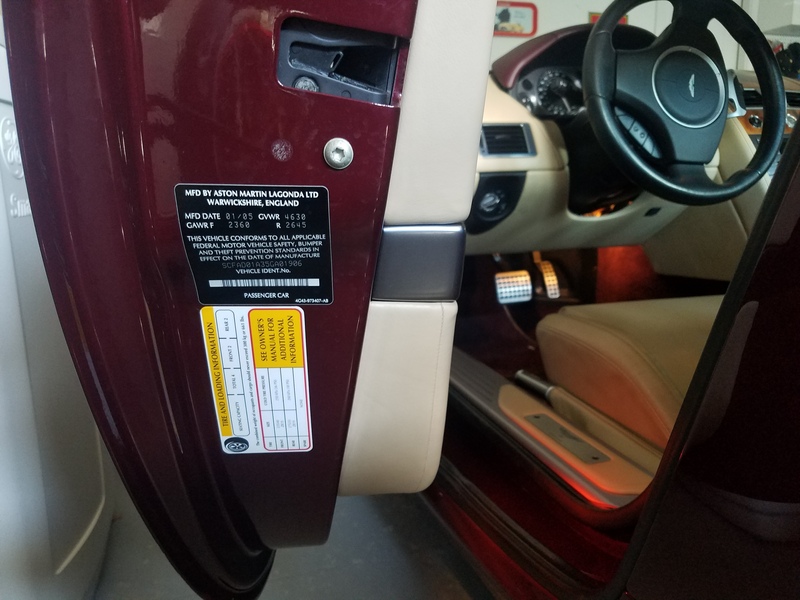 The second is by finding the factory sticker hidden on the car. It’s kept just under the front scuttle plate in the engine compartment. 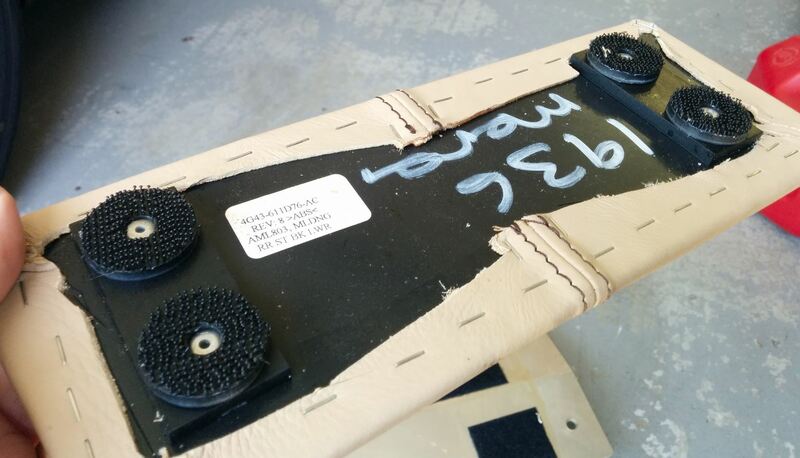 You have to carefully remove the 18 T30 Torx bolts to remove the plate. 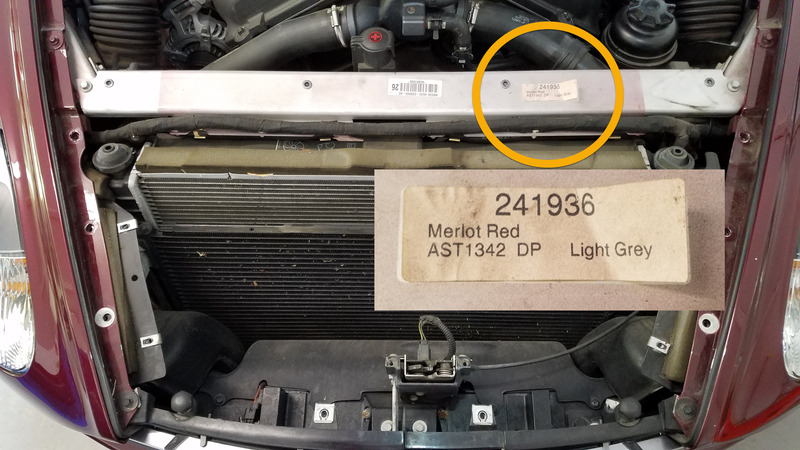 When you do, you’ll find a sticker on the cross member that lists your car number (241936 in my case), the original AST paint color (Merlot Red AST1342 in my case) and then another phrase which I presume is the Primer color (Light Grey in my case). Steve, I just upgraded the GPS maps to 2015/16 version on my 2009 AM DB9 which is a hard drive based GPS unit, unlike what you have in your 2005 car. The Volvo DVD disc worked faultlessly and took 4 hours to load. I can give details for a post if you like. Volvo VNS HDD 2015 – 2016 Navigation Map Update DVD (MMM+) North America. $27 on eBay. That would be great if you want to provide something for me, and I can put up a post on how to update your GPS map system. What would someone with a non-HD model do? Just swap the disk and leave it in the reader? Anyways, if you are up for sharing, please do! 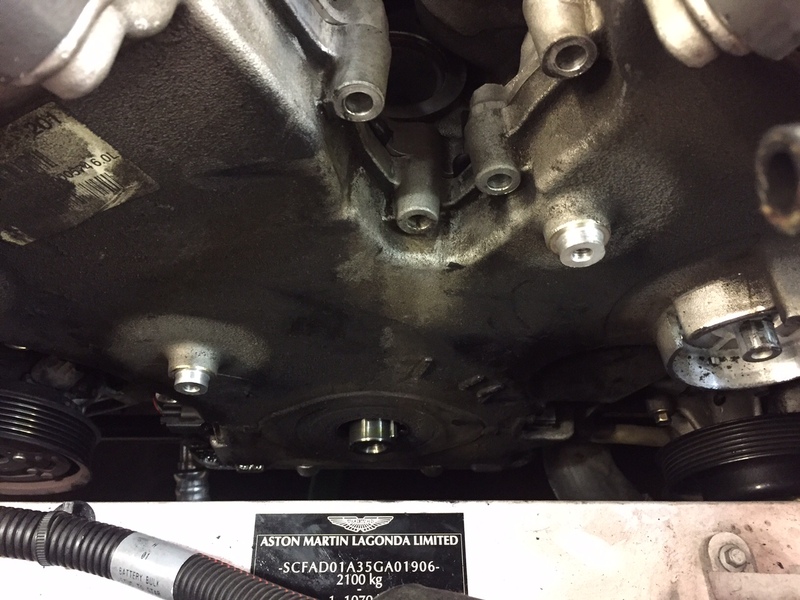 Just a quick note from Canada to say thank you again for all the incredible hard work you have put into helping us understand, repair and enjoy our DB9’s…. and a special thank you to your wife for her understanding and support. I was concerned while watching, how your tires were handling the slight ‘wear and tear’ until at the end you mentioned that you were purchasing a new set. Unbeknownst to me, and a bit intriguing none the less, was your reference to page 5-20 in the owners manual that describes how to burn-up – err ‘burn-out’ your very expensive rubber! As I chuckled and smirked at how preposterous this must be – I excitedly ran to my owners manual, imagining the sound and aroma of burning rubber…. only to find that my pages ran up to only 5-16. Where you just toying with us, or do I need to upgrade my manual. Hi Caryl. Hello to the great white north! Was up in Vancouver a few weeks ago, and Edmonton in January (brrrr). Sure don’t miss it. Gotcha. Yes, it was me toying with people – I am a bad man. You were not the only one. Thought it would be worth a chuckle for everyone at least. I do have a page 5-20 if you’d like one of your own. Glad you saw my close on replacing the tires. Just having some fun with the last of the tread before I headed to the tire shop. The numbering convention seems to be a bit different with the DB9 Volantes. My 2006 Volante Drivers Side Lower Panel bears the date 13-10-05 (about ten months after yours). The vehicle number listed is (printed) 240 (same as yours), but that’s followed by 250842 written by hand, where yours has 1936 written by hand. Two panels I took a quick look at show 842v and 842k on their backs. I’m assuming that the 240 refers to the DB9 coupe and 250 designates the Volante, so my car is Volante #842.